Ignatian contemplation and reflective prayer encourage us in the season of Advent. Below we highlight Advent resources in the tradition of Ignatian spirituality. Enjoy video commentary about works of art inspired by the Sunday Scriptures of Advent. Use these videos to take a new look at this season of preparation through the lens of sacred art. Accompanying dotMagis blog posts offer reflections on using the art as a means of Ignatian prayer. Enjoy these video reflections to help you in your spiritual journey. Embrace the Advent season as a sacred space from the ease of your e-mail inbox. Each day of Sacred Advent invites you to a step-by-step way of praying with a Scripture reading and related points of reflection. The messages also include suggestions for further exploration of Advent themes. Sign up to receive the daily messages via e-mail. 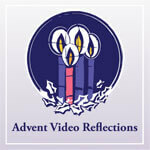 Use an online Advent calendar featuring daily reflections from several sites. Also find other Advent resources from Loyola Press. The New England Jesuits offer meditations and reflections intersecting themes of Advent and Ignatian spirituality. 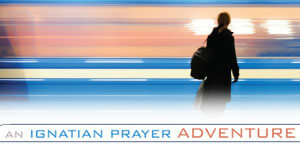 The topics are: Anticipating Joy, Using the Examen During Advent, Imaginative Prayer, and Advent Gifts and Graces. Creighton University’s Online Ministries offers a selection of materials to help people prayerfully enter into Advent, from short prayers to longer reflections and audio retreats. Marshanke invites seasonal reflection through the lens of the Examen. In contemplating the Annunciation, we see Mary as a model of faith and are called to trust and openness ourselves. Find more Advent reflections on the dotMagis blog.